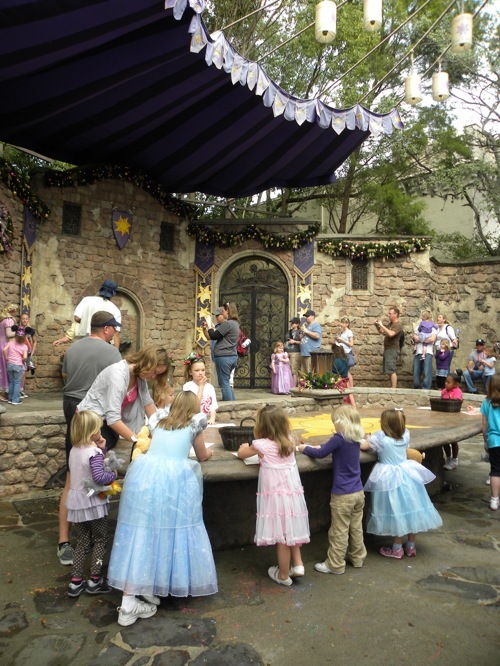 Here Sadie is, in the pink dress at the coloring table (which I was sooooo very thankful for) after about an hour of standing in line to see Rapunzel. 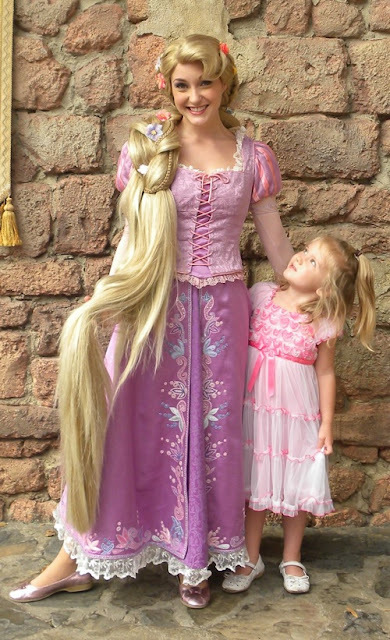 Daddy and Mae had gone to ride the train, but Sadie insisted we stand in line because she wasn't going home without seeing "Tangled." 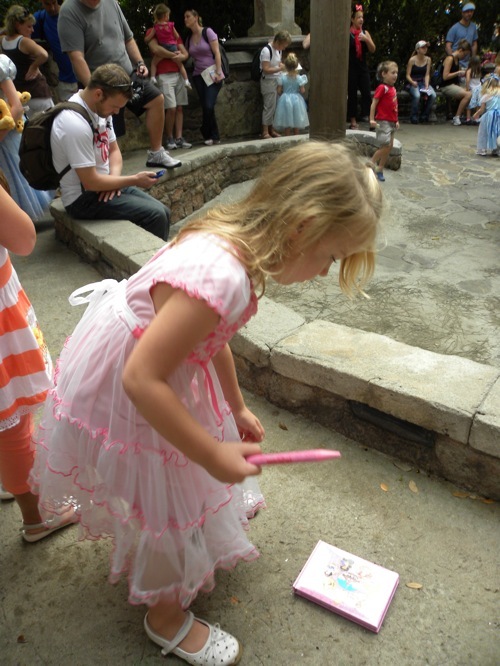 Here she is with her autograph book, which was nearly full, as we approached the front of the line. The lady that worked with Rapunzel offered to hand Rapunzel the autograph book (so Sadie could run up and hug her), but Sadie was so preoccupied with her book that she gave it back to her and Sadie took it up to Rapunzel herself. 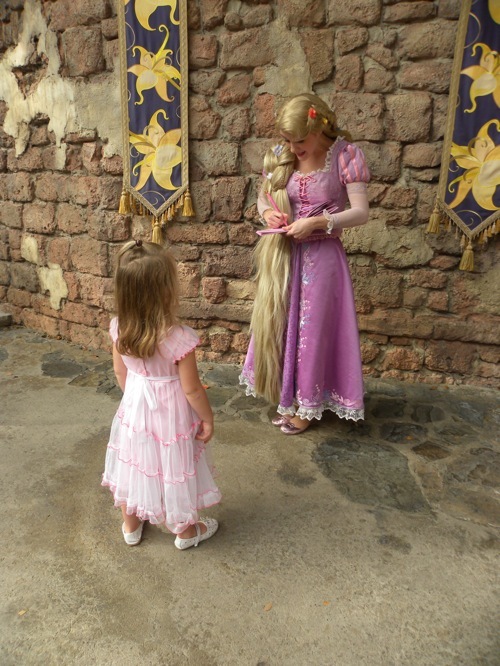 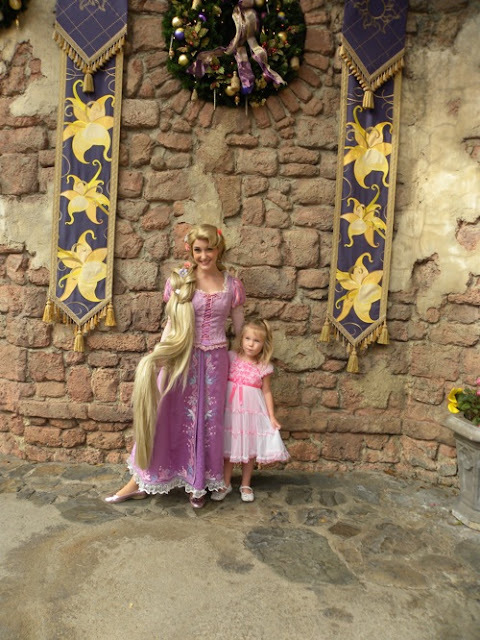 She finally got to meet Rapunzel!